What a great response! Friendly, considerate and hard-working! Within a few hours after calling for help my problem was solved! 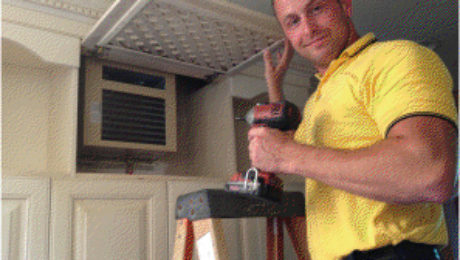 Its hard to find a good honest HVAC company, but Passion is just that! Great work and great communication! Excellent Service - Prompt Response. I have 5 year old Carrier units that were installed by another company. My blower motor in my upstairs air handler stopped working on a Wednesday (common problem as the same thing happened with my downstairs unit in October). It couldn't be a worse time as both my wife and I had the week off and were home. I called the company that installed the units, and they told me they couldn't make it to my house for a service call until Friday. I promptly called John at Passion and his tech arrived at my house within 3 hours to diagnose the problem (indeed a faulty blower motor). John told me that he could have the part ordered and installed by Friday. True to his word, he visited the Carrier distributor this morning first thing and was at my house at 8 am to install the motor. What I appreciate is the company's sense of urgency, especially since the last time this happened, it took a week to get a new motor with another company I also appreciate John's honesty in telling me that he would check the unit's warranty as the replacement motor would be expensive otherwise. This is the first HVAC company that has not given me the run around, and despite being a first-time service customer, treated me as if I was their only client. I will recommend Passion to anybody who asks me going forward. Customer service is a lost art, but this company seems to have gotten it right. Fantastic experience. He came over 20 minutes after calling after hours. AC was fixed within the hour. Very friendly and professional. Also gave discount for working at MUSC! Highly recommend! Truly a five star experience. Called and spoke with John, the owner, about a bad compressor. He had someone out that day to our house. Dave, the gentleman that came out, verified the compressor was bad and did a thorough walk through of the area of the house this unit went to. He took measurements asked about our windows, all to make sure any unit they quoted us on would do the job it should. John emailed a quote that evening, that was more than reasonable. We signed off on the estimate and within 24 hours we had a new unit up and working. I knew we needed to replace the unit but had no idea they would have it done so soon. Dave was there for the entire install. The house and garage were spotless after they finished. Dave made sure I completely understood how the new thermostat worked before letting me sign off on the completed work order. John called and followed up the next day. Our only complaint was that the compressor ran too quietly, we had a little trouble sleeping not hearing the old compressors fan running outside of our bedroom window. I would highly suggest getting Passion Heating and Air to do service and/or install units for you. Choosing a good heating and air technician can be equally important as the equipment you are installing or repairing. Experienced technicians are trained to properly install and maintain your equipment in a safe and reliable manner. Here are few tips to consider when choosing the right HVAC contractor for you. Ask your friends and family. © 2019 Copyright by Passion Heating and Air.